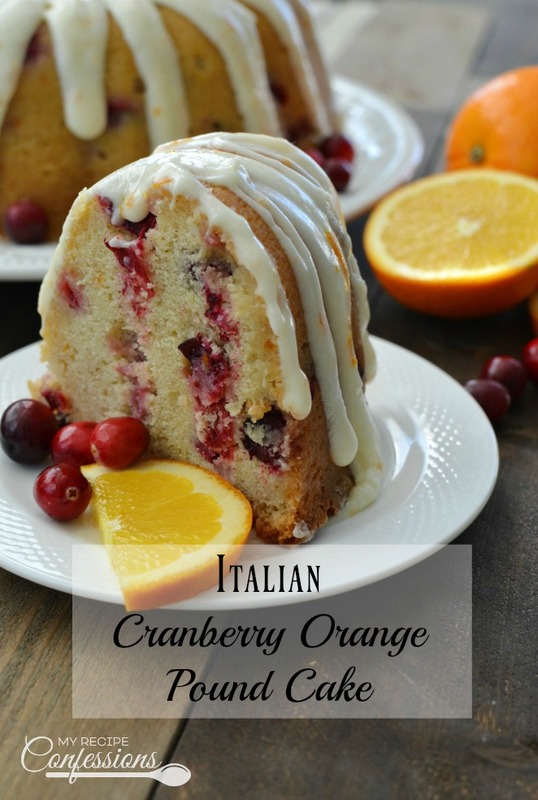 Italian Cranberry Orange Pound Cake is worth every minute spent in the kitchen making it! It is soft, fluffy, and bursting with flavor. I made this cake a couple of times this week and I had to give most of the cake away because I knew if I didn’t, I would eat it all. Just like all amazing cakes, this cake is even better the next day. 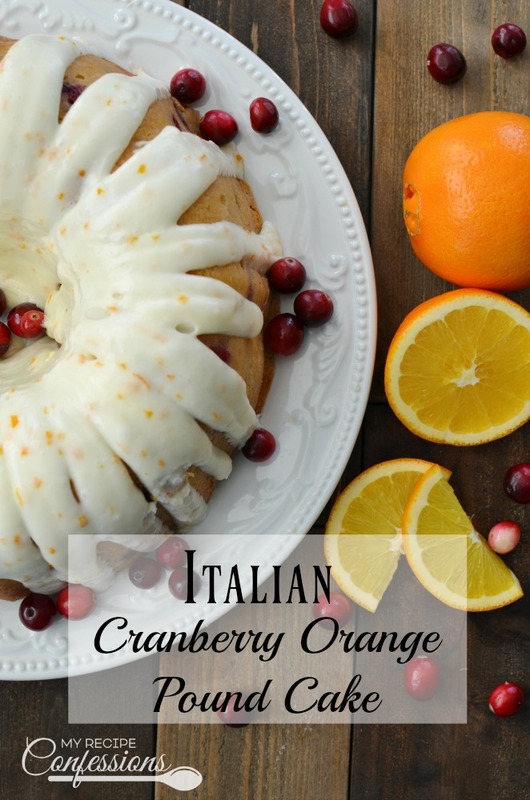 This Italian Cranberry Orange Pound Cake is a twist on the most popular recipe on my blog, Italian Lemon Pound Cake. If you thought the lemon pound cake was is great, just wait until you try this one. It screams Christmas. 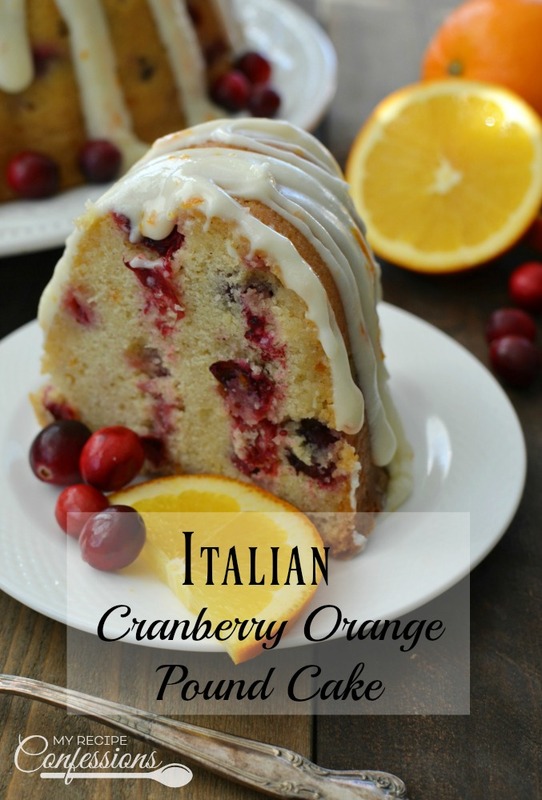 The big plump cranberries that are baked throughout the cake are my favorite! 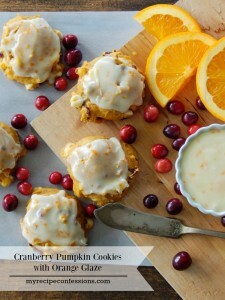 Not to mention the dreamy orange cream cheese frosting that is drizzled on top is smooth and creamy with the perfect burst of flavor that is quite unforgettable. In fact, I love this cake so much that I plan on making it every Christmas from now on. I dare say that you will feel the same way! Mix the flour, baking powder, and salt together in a bowl and set aside. In a large bowl, cream the butter and sugar until light and fluffy. Beat in eggs, one at a time. Stir in the ginger, ground cloves, cinnamon, mascarpone cheese or sour cream, orange juice, orange zest, and vanilla extract, until well combined. Add half of the flour mixture to the butter mixture. Mix in the buttermilk and then mix in the remaining flour mixture. Stir just until flour disappears. Gently fold in the cranberries. Pour the cake batter into the generously greased bundt pan. Bake for 75 to 80 minutes or until a knife inserted into the center comes out clean. Remove the cake from the oven and let rest for 5 minutes. Turn the cake over onto a cooling rack with a baking sheet underneath. Brush the orange glaze all over the cake with a pastry brush. Allow the cake to cool completely. 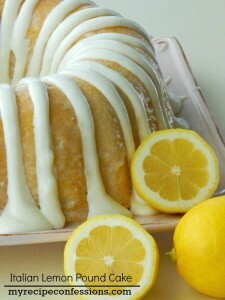 Drizzle the orange cream cheese frosting over the pound cake. Stir the powder sugar and orange juice until smooth. Whip the cream cheese until it is creamy and lump free. Mix the remaining ingredients together until smooth and creamy. *Recipe Adjustments: I made this cake tonight and ended up adjusting the recipe a little bit. First of all the cake recipe called for ground ginger. That was a mistake. It should be fresh minced ginger. Second, Instead of using softened cream cheese I found it works better to whip cold cream cheese until it is creamy and lump free. I also added an additional cup of powder sugar. The frosting is not a really thick frosting. It is the perfect consistence to drizzle over the cake. Do you think you can make this cake ahead of time and freeze it? Then once thawed, do the glaze? Yes you freeze the cake and then add the glaze once it thaws. I would recommend making it on Tuesday or Wednesday. It will need to be stored in the fridge if you frost it. Make sure to cover it tightly with plastic wrap so it doesn’t dry out. I made this for a dinner party yesterday, and it was absolutely fantastic! Perfect combination of sweet and tart. Zesting that much is a little tedious, but the pop of flavor really does make this cake so savory and delicious! I suggest two to three good size oranges to get the three needed tablespoons of zest. Definitely adding this cake to my favorites and making again. Thanks for sharing! I have been craving this cake for a few weeks now. I was planning on making it on New Year’s Eve but I couldn’t find any fresh cranberries. My local grocer told me they had a short cranberry season so they won’t be getting any more in this year. It broke my heart! I am glad that you were able to enjoy the cake. Yes, zesting the oranges can get a bit old, but it is so worth it. Happy New Year! Are the cranberries going in raw? I worry they will be too tart. Is there a way to prevent this? Yes, the cranberries are raw. The cake has the perfect balance of tart and sweetness. If you are worried about the fresh cranberries, you can use dried cranberries. However,the flavor of the cake won’t be as vibrant. It really is a personal preference. I hope this helps. 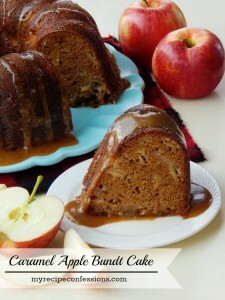 Could I bake this in 2-3 loaf pans & how would I adjust the timing? I have never tried baking the cake in loaf pans, because of that I can’t say for sure what temperature to bake them at. I would suggest baking them at the regular temperature in the recipe. Check the cake after 30 minutes and then every 5 to 10 minutes after that until a toothpick comes out clean. Make sure to keep track of how long you baked the cake so that you can make it again later. Please let me know how it turns out! Is the orange glaze orange juice mixed with powdered sugar? I am sorry about the typo. It was suppose to say, orange juice not orange glaze. I just fixed the recipe.